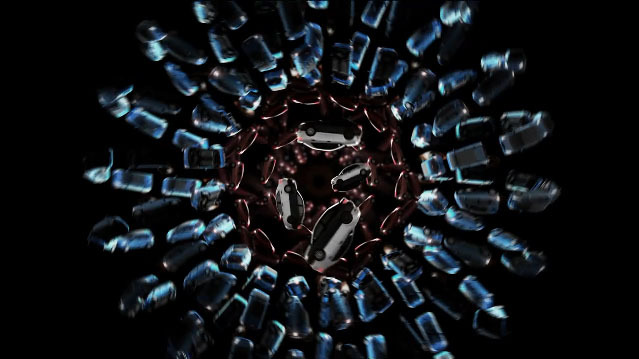 @Hyundai Super Bowl XLV Ads: Fresh? Wack? Or Meh? During Super Bowl XLV yesterday Hyundai had a trio of commercials to serve up. Their spots don’t focus as much on any specific model as they try to communicate their new marketing message. Watch them below to see what I’m talking about. In the first spot Hyundai is out to convince us that we’ve been brainwashed to thinking that economy cars have to be bland and boring. Why? I don’t hate this but I just don’t think this has the impact that they were going for. After informing us of our long term brainwash affliction now Hyundai is out to set us free of our mental shackles. Does it do the trick? Why? This commercial didn’t deprogram me. It just made me freakin’ dizzy! That’s not good thing to do to millions of people who just finished stuffing themselves with Super Bowl junk food! After their attempt to deprogram us Hyundai wants to show us what the world would be like if instead of constantly trying to innovate and move forward we just settled on the first thing that worked. Why? What makes me like this commercial is the execution. The question they pose in this spot isn’t one that has been asked very much and I think it is a great question and a cool sureal way to show what the world would be like without progression. Let us know what you think about these commercials in the comments.